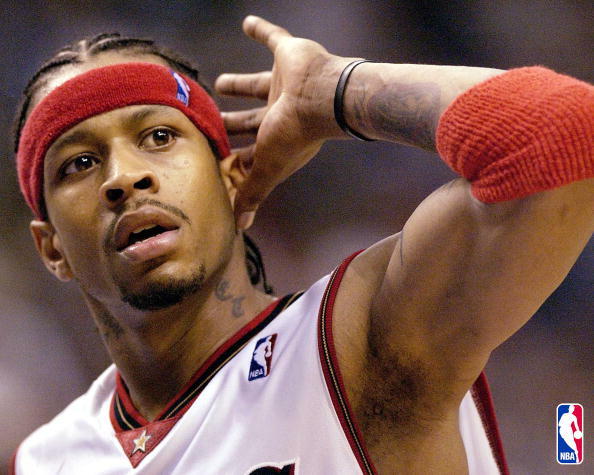 This week it was announced that Allen Iverson will officially announce his retirement from the NBA. Now, anyone who follows the NBA knows that Allen has essentially been retired since 2009. It seems the only person who didn't know that Allen's career was over was Allen. However insignificant this is to actual basketball on the court, this announcement is significant in the realm of NBA history. Say what you want about Allen Iverson. And believe me, there is a lot that can be said. One thing is for certain; the guy changed the NBA. For good or for bad can be debated. But what can't be debated is on the court he was one of the greatest scorers in NBA history. Few players had the combination of quickness and court awareness that Allen Iverson had. His ability to cross over a defender, get to the paint and knock home a tough shot while getting fouled is unparalleled. In 2001, he carried a Philadelphia 76ers team to the Finals that had absolutely no business in the Finals. 5 years later, Allen's tenure with the 76ers ended and after a few decent seasons in Denver, his career essentially ended. Unceremoniously. No fanfare. And no one even seemed to care. A really sad ending to a great career. But Allen has done himself no favors. It's hard for people to sympathize with a guy who has had so many controversies over his career. He was always a me-first, shoot first player who carried himself with an arrogance that turned many people off and endeared him to others. He wasn't afraid of any challenge but could never truly overcome all of his past demons. It's because of all his talent and potential that makes the story of Allen Iverson's career so disappointing. All of his off the court problems prevented Allen from becoming one of the greatest players to ever play the game. As it stands, he was really good. A hall of famer? Without question. He'll always be The Answer. But his ceiling was so much higher. And that he never reached it will only leave us with questions.